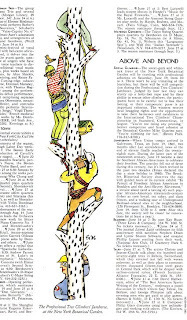 I watched an old home movie last week and there was one scene of a kid fifty feet up a hickory tree; myself at age nine. I was always climbing trees. With three children, my parents obviously were not terribly concerned. I was a spare. I'd given it up years before the New Yorker called me to do this illustration, but my familiarity with the sport (can I call it a sport?) made the assignment a felicitous one. 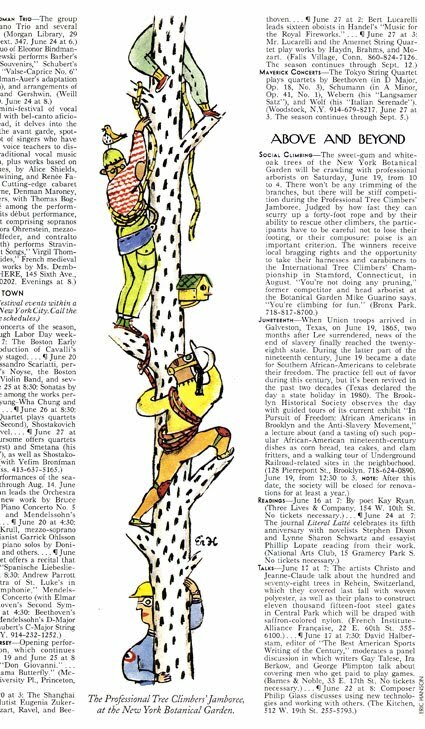 There are actually tree climbing competitions, apparently. Wish I'd known this when I was nine. I think what makes the illustration work was my decision to render the tree in black and white. Black and white makes colors more colorful. Owen Philips art directed.